Who says money is not important? Of course it is! But is it the only important thing? Whenever we think of benefit we have a tendency of assigning a monetary value to it. In business, thinking as an entrepreneur, or investor, we relate it to ROI. Return on Investment. That is relevant and important, too. But do we take into account the time that was invested (as against spent) in that activity to earn that return (money)? Most organisations fail to consider the time invested in any task, activity or a project. More than the people involved in the activity, it is the support staff and the resources of the company that go into achieving the result. In personal life, we need to be conscious of the time we put in to achieve a result. Simply expressed, the question is “am I getting more than what I am putting in? are we not looking at the resultant happiness, excitement, thrills or satisfaction as a consequence of an activity? A benefit or loss that raises or lowers our ‘Happiness Index?’ so as to say? 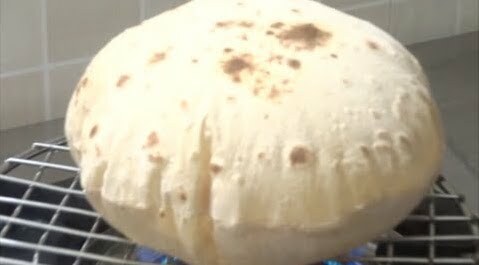 Well that is what this new ROTI is that I am talking about. Simply put, it is the return or the result that I get out of time invested in any act or activity which gives me a particular level of happiness and energy – positive or negative. Ever since then I have been conscious of the time I invest in anything. I picked up a habit of measuring my (perceived) ROTI on a daily basis. How productive was the day? I write it down on a scale of 1-10 and then plot it on a graph. This gives me a tool to measure and then monitor my productivity. While on a walk, in Rajauri (J&K), my Commanding Officer once asked me, “How do you get to do so much more in a day than most of us do?” It was a work in progress. I was, at that time, only prioritising and eliminating time wasters. ROTI is far beyond that. This I learned and evolved, as I went along. Despite all the savings in time that we have managed to achieve with automation through technology, we continue to struggle with less and less time that we have. In fact, by now we should have saved a lot of time and living a life with a luxury of abundance, as far as time is concerned. To bring in some method in this madness, I suggest make ROTI a habit – personally as also at work. What is ROTI? is a simple method to assess the time invested on anything. It could be work related like a meeting, making a proposal or a presentation, making calls, writing emails or anything like that. In personal life, time spent in a hobby, watching a movie, going for a picnic or a holiday or hanging out with friends. At the end of it what you ask yourself is ‘what did I get out of it?’ and measure it on a self- devised scale. The measurement is subjective based on your level of satisfaction and consequent happiness. Make a 5 point scale on a line starting from 0 to 4 as shown in the diagram. Once you do this regularly, as per your convenience and need, it will serve you as a great tool for analysis and ‘FeedForward.’ You will know where you need to invest time. It will help you identify your time wasters that you can avoid and eliminate in future. 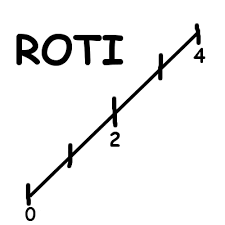 In organisations ask participants of an event to mark their ROTI rating on a chart or take it individually. By probing and inquiry, you can know what works well and what does not and take corrective measures accordingly. To get happiness in life, the trick is to learn and manage time even more carefully than money. To do this we need to consciously plan the time investment an activity deserves. We need to identify our time wasters and just like we have a TO DO List we must make a NOT To Do List. We must take a deliberate decision to stop doing certain things that are thorns in our productivity. Makes me hungry for time now. I want a better ROTI for myself. It’s a very important attribute. Thanks. Your response is heartening and provides encouragement. Thanks Shreyash. I am sure, with your conscious awareness, you will get the better ROTI that you want, adding quality to your life. Thank you Sushil sir for this wonderful takeaway to measure the ROTI on a self-devised scale. When we measure ROTI based on our level of satisfaction and consequent happiness, it becomes easier to prioritise. Sir, Very mature and practical article based on your wide experience in Army and corporate. Good to read and hope to collaborate. Thanks Bharti, I am happy you found it useful.